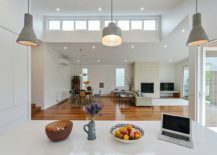 Part of a beautiful neighborhood that is filled with elegant Victorian Houses, the Neumann Haus seems like just any other classic home in Hawthorn East, Victoria. 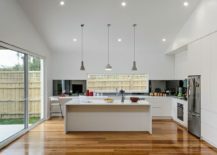 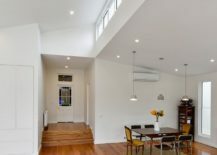 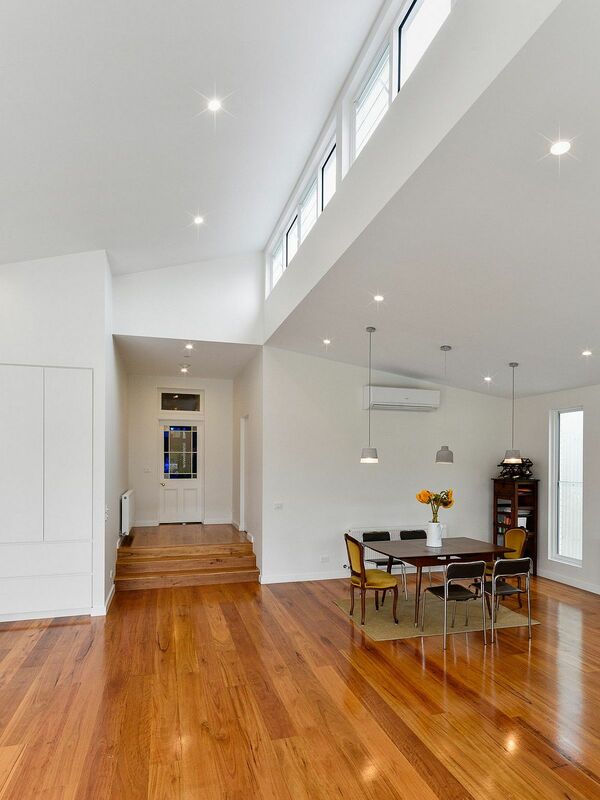 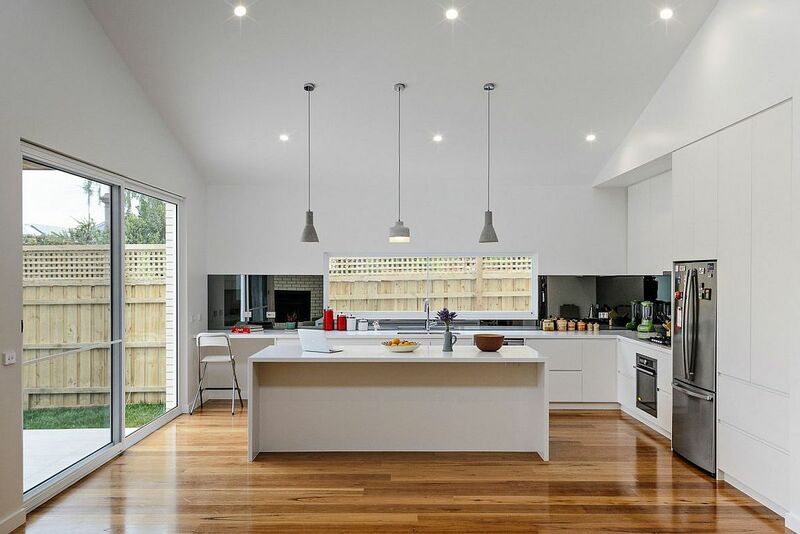 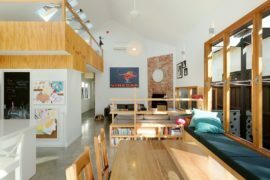 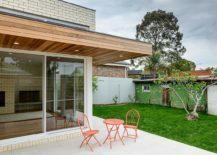 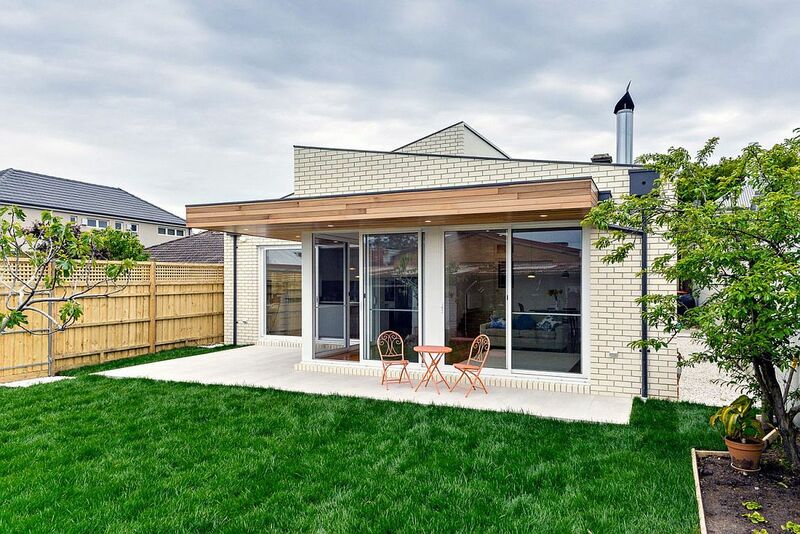 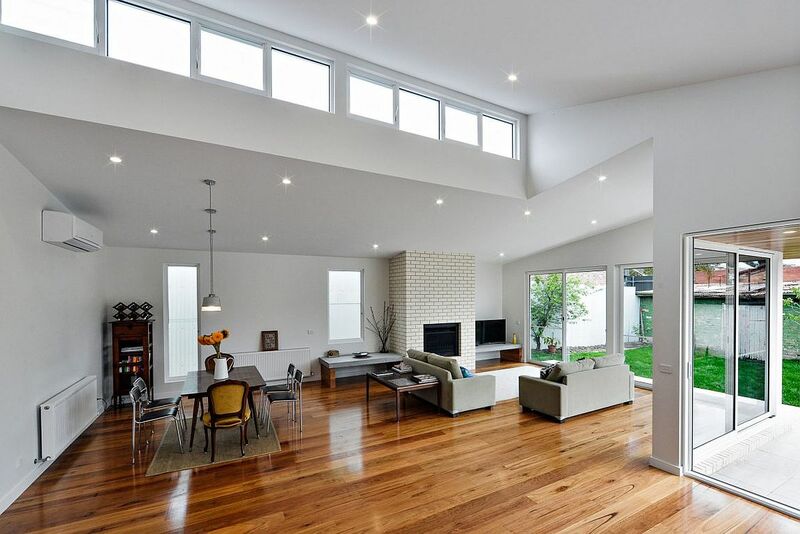 But step inside and then things change dramatically as this 1880’s residence opens up into a gorgeous and cheerful contemporary space with bedrooms at the front and a dashing living space, kitchen and dining area in the rear. 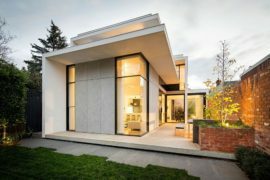 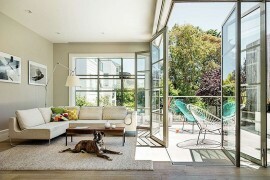 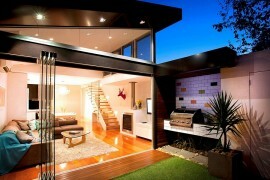 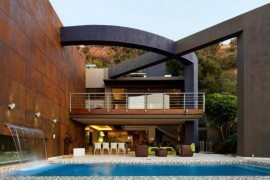 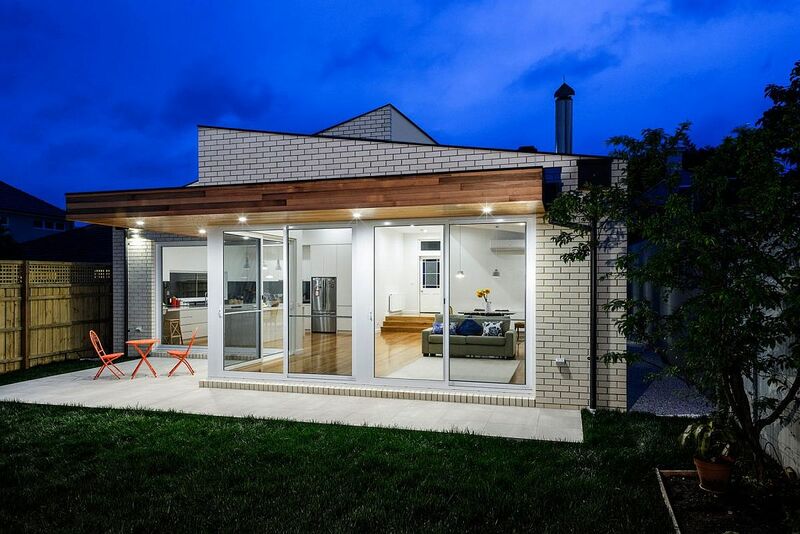 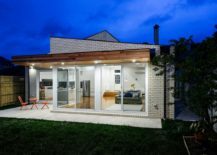 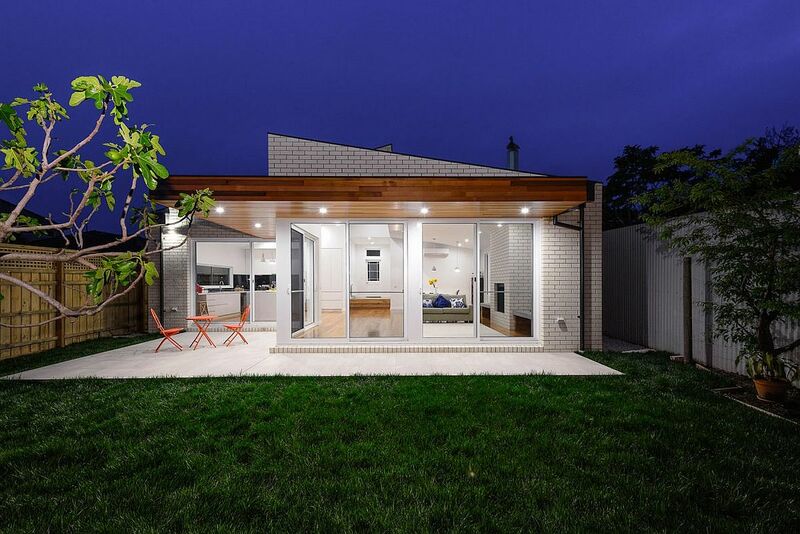 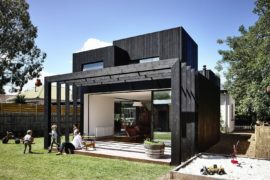 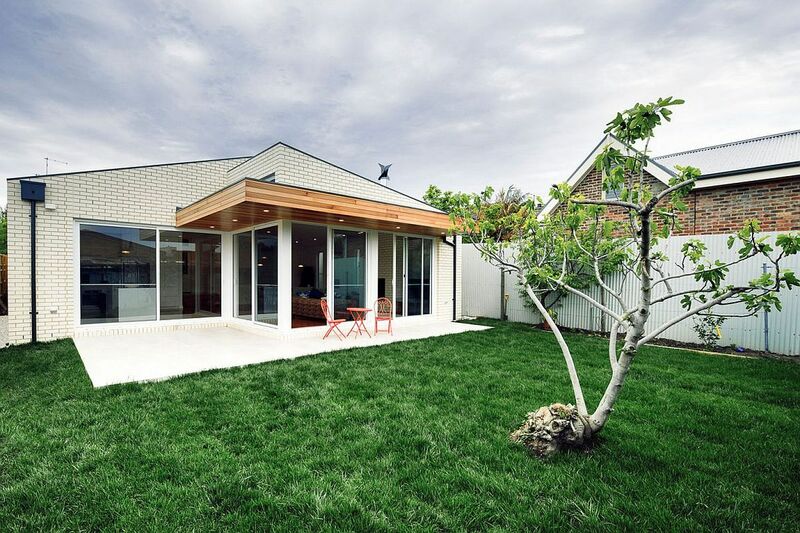 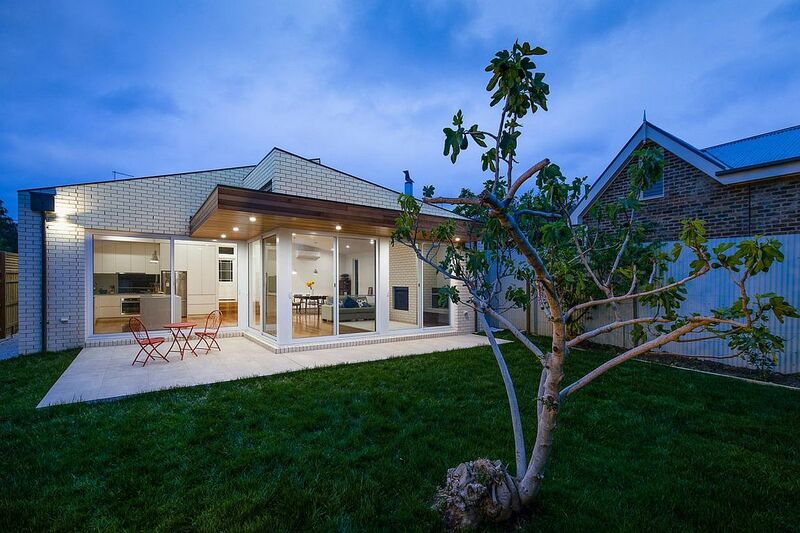 Transformed with modern suave and an open, inviting vibe by ITN Architects, a series of glass doors connect the new gallery space and living area with the patio and garden outside – a perfect blend of the interior and the outdoors. 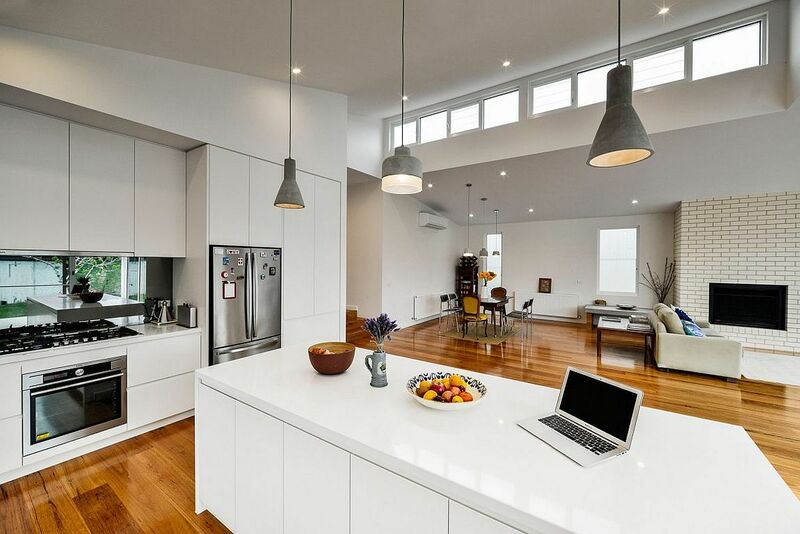 It is the new living area that is the heart of the rejuvenated residence with the kitchen in white sitting on one side and the dining area on the other. 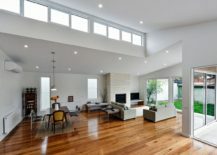 A series of pendants in gray, recessed lighting and a lineup of smart windows illuminate this area perfectly both during the day and after sunset. 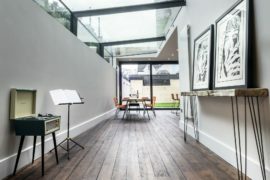 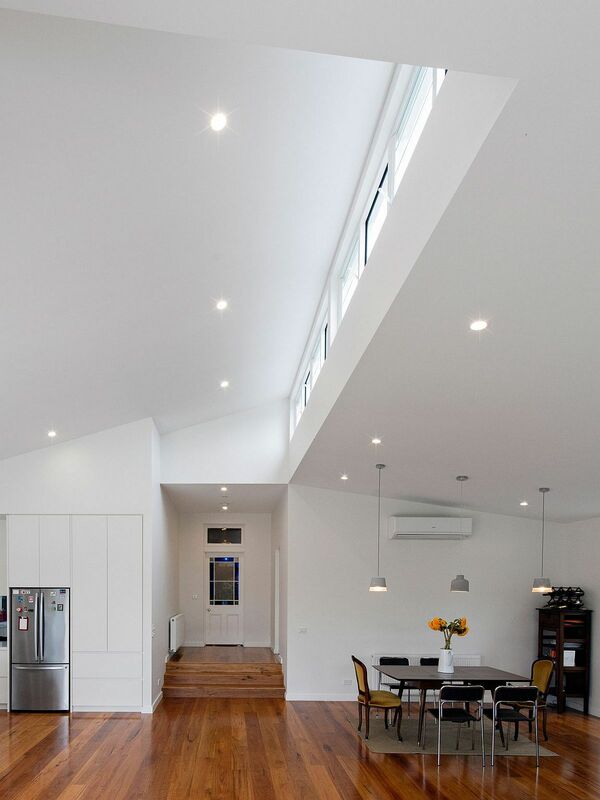 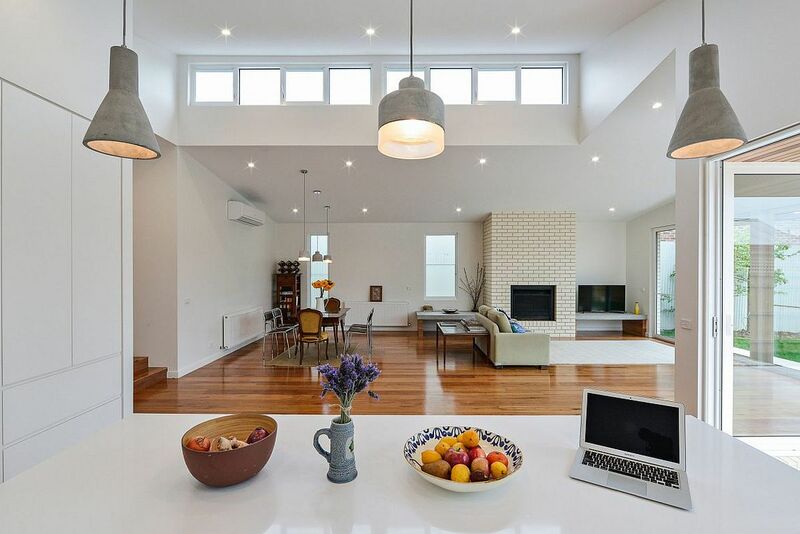 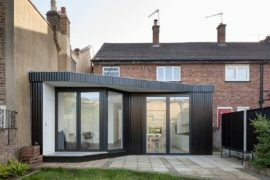 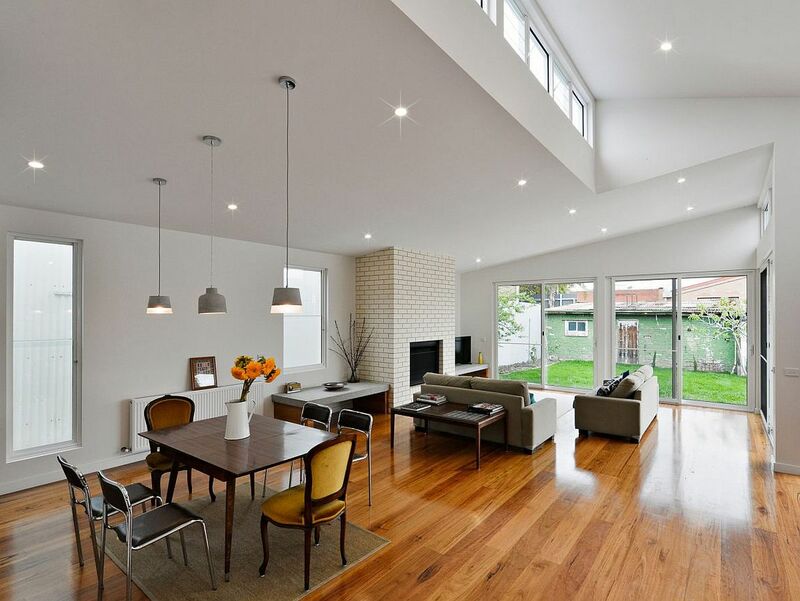 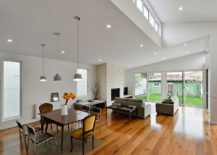 High ceilings ensure that this stylish extension feels dramatic even while giving the homeowners a perfect place to hold parties and family gatherings with ease. Since the interior transitions seamlessly into the patio and the garden, the ‘social zone’ feels even more spacious and refreshing!